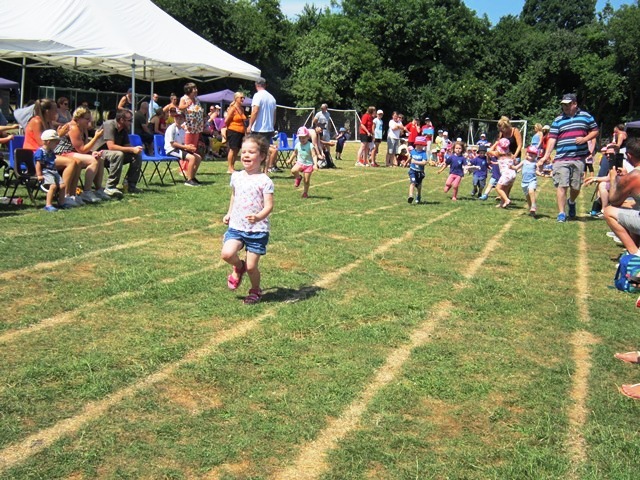 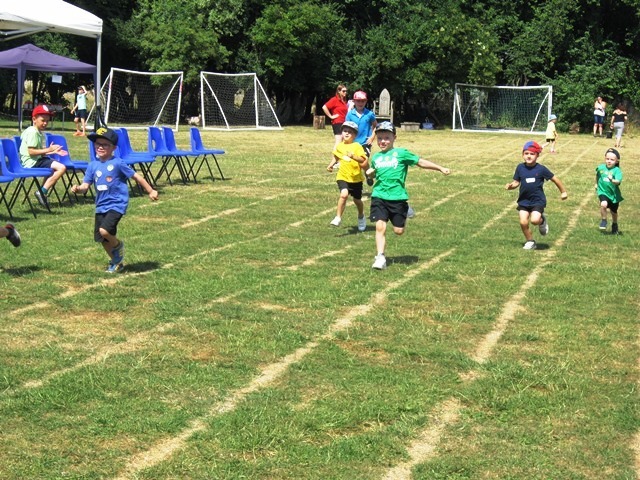 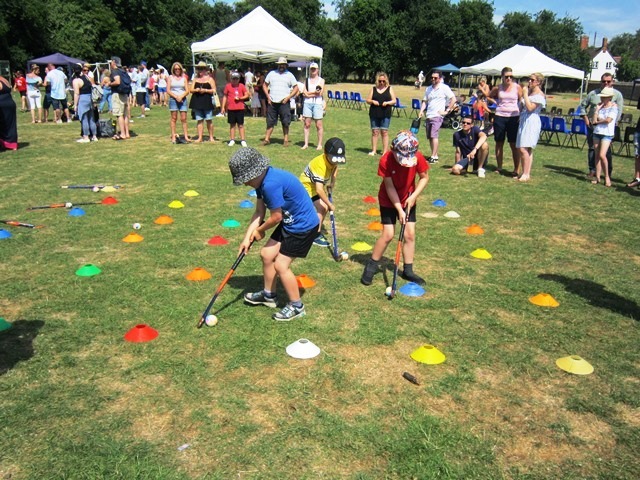 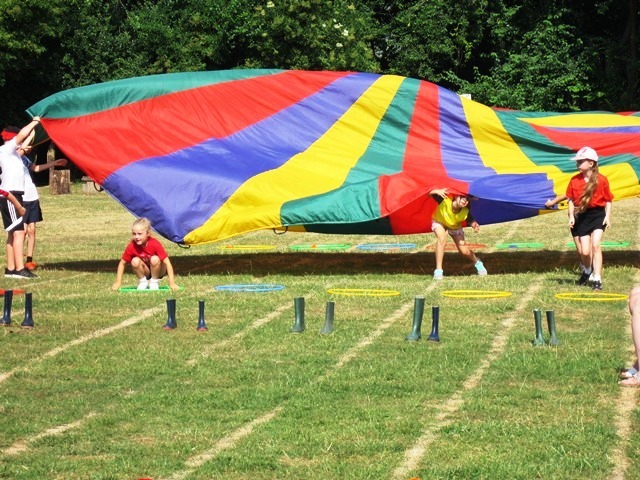 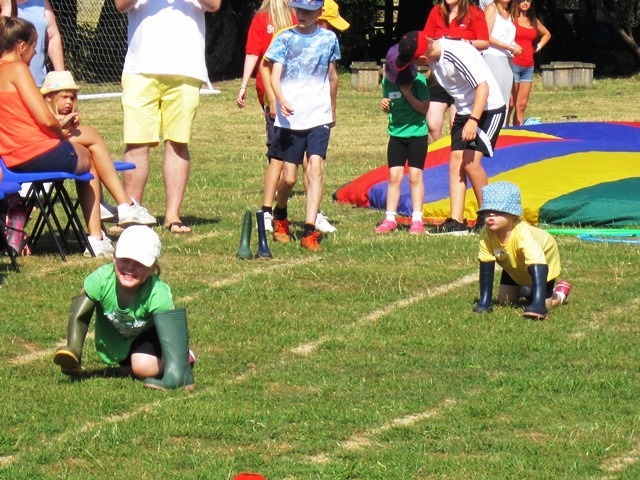 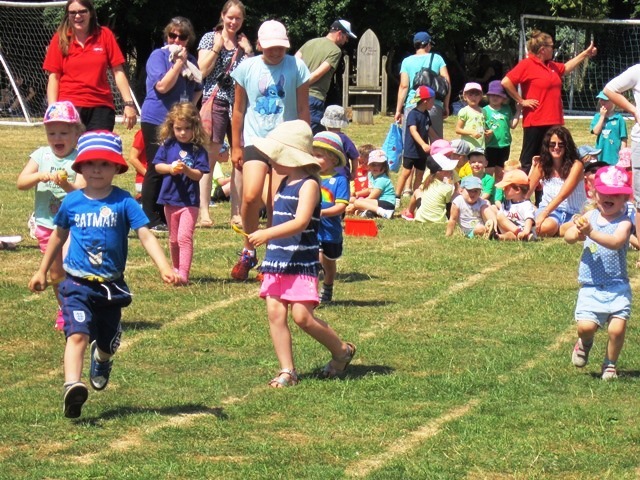 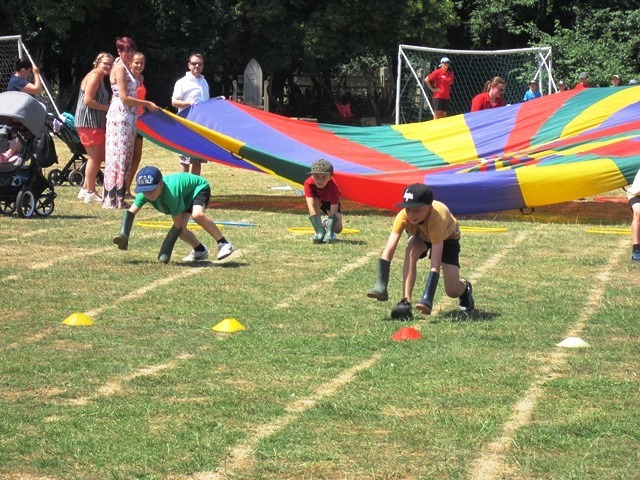 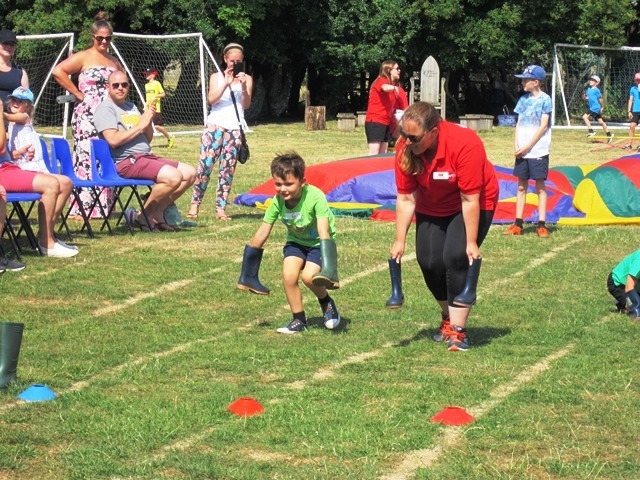 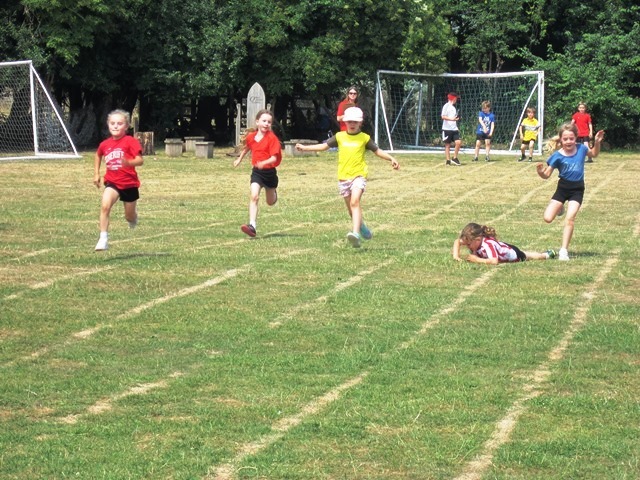 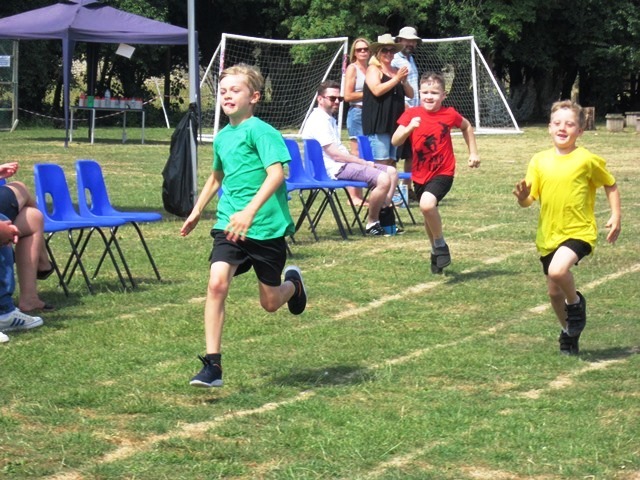 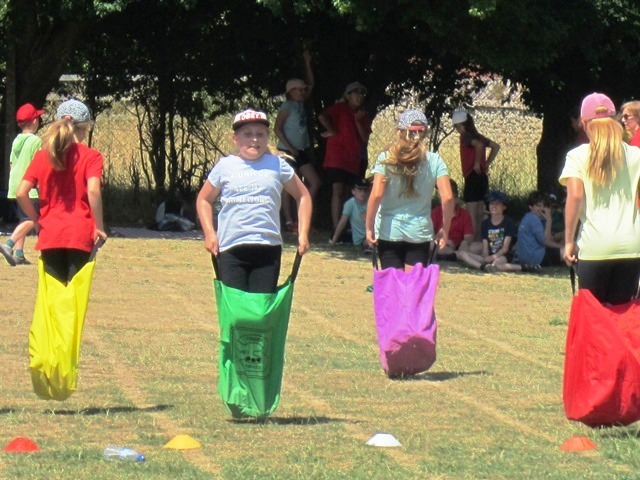 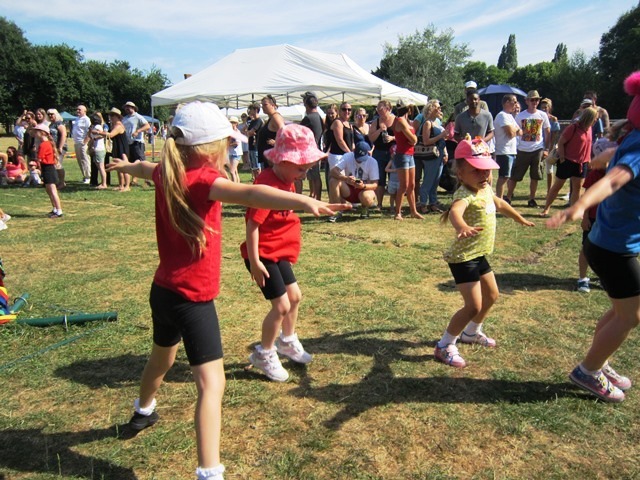 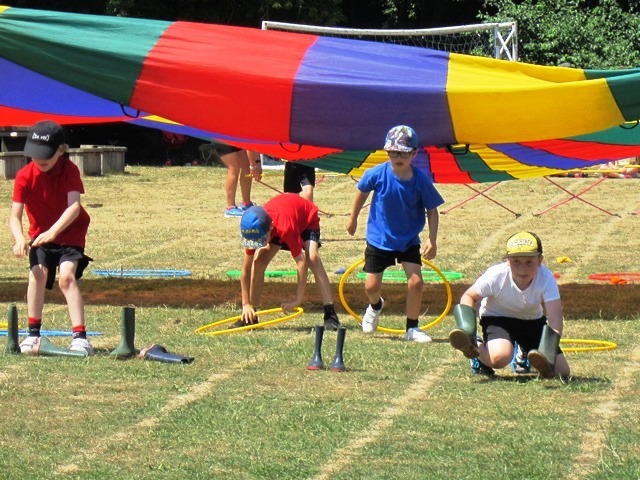 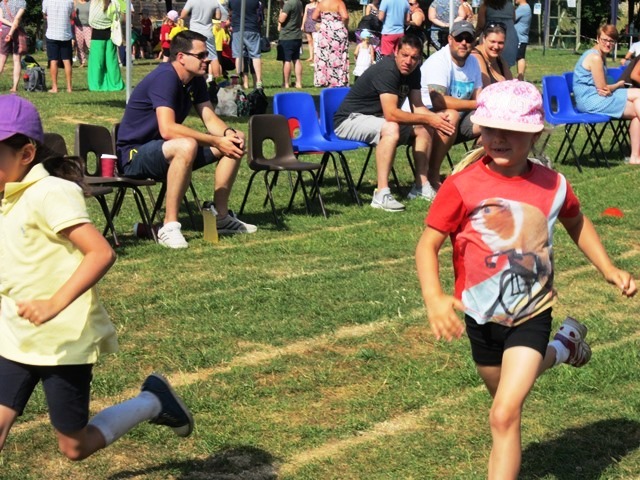 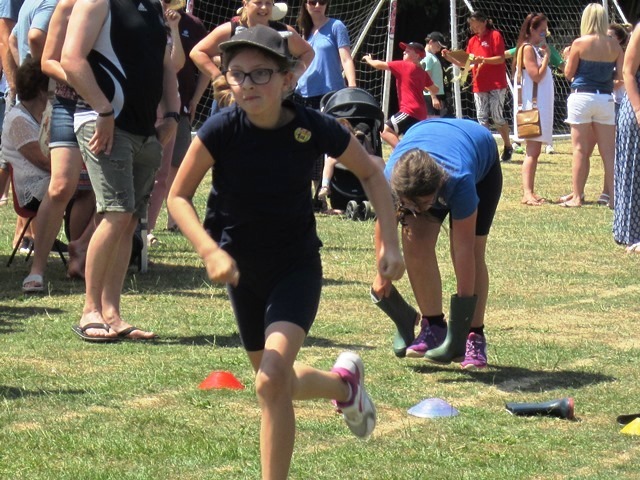 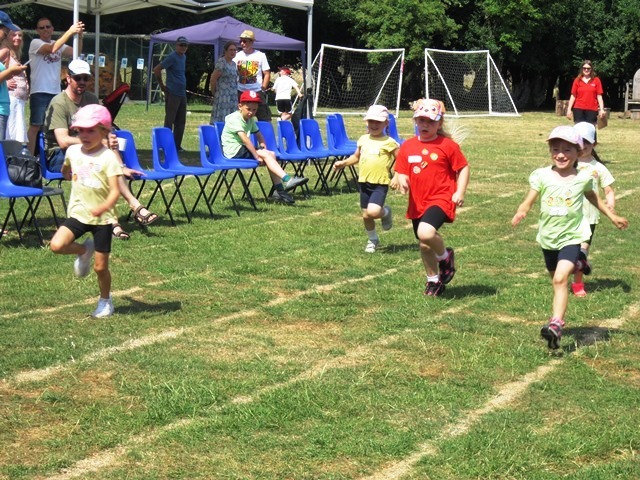 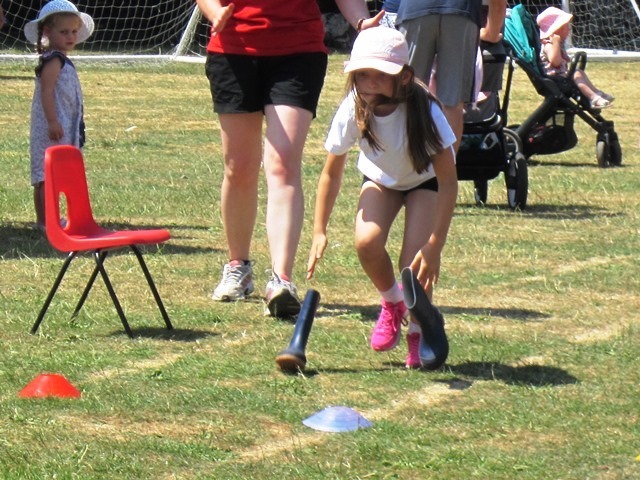 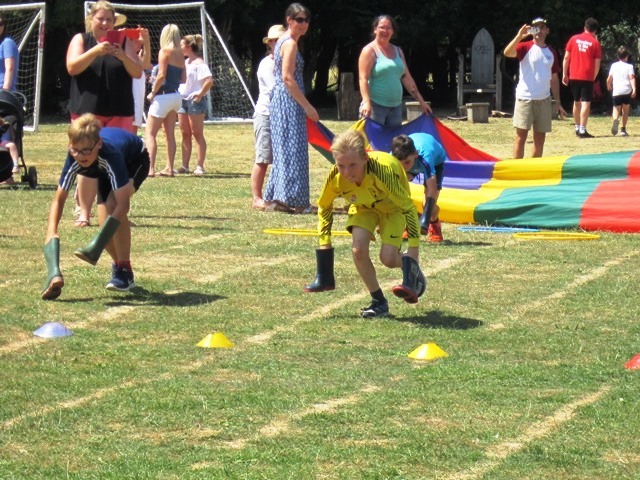 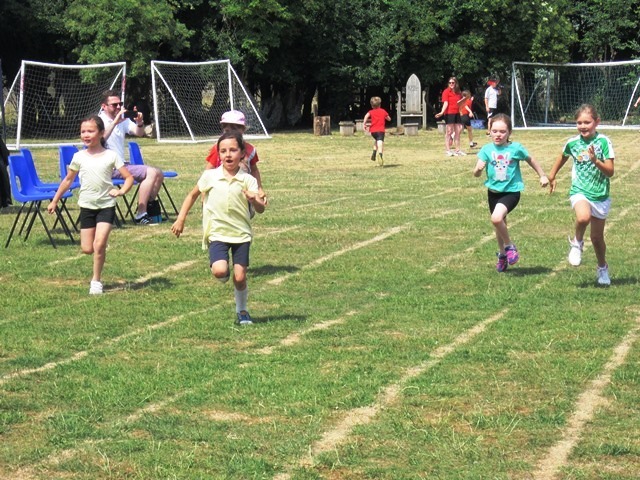 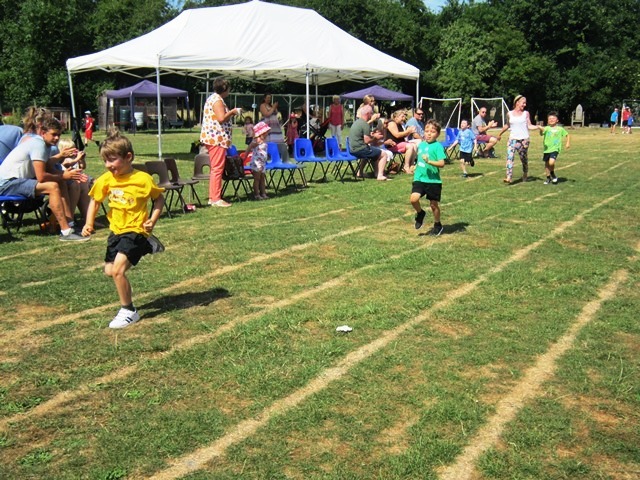 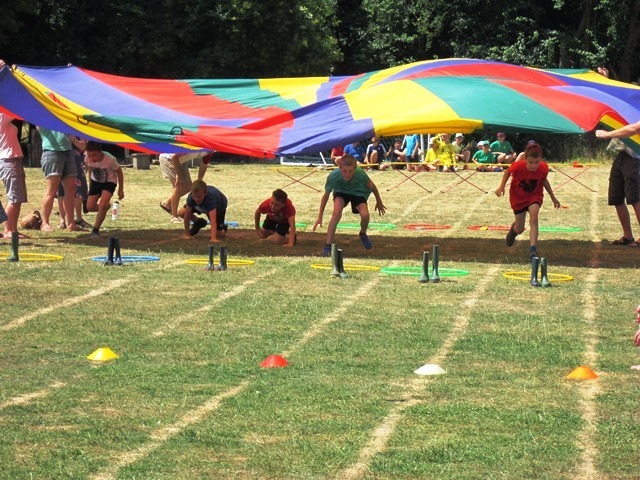 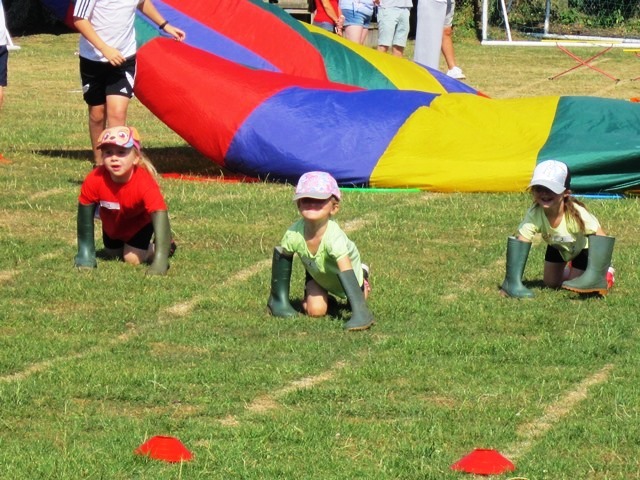 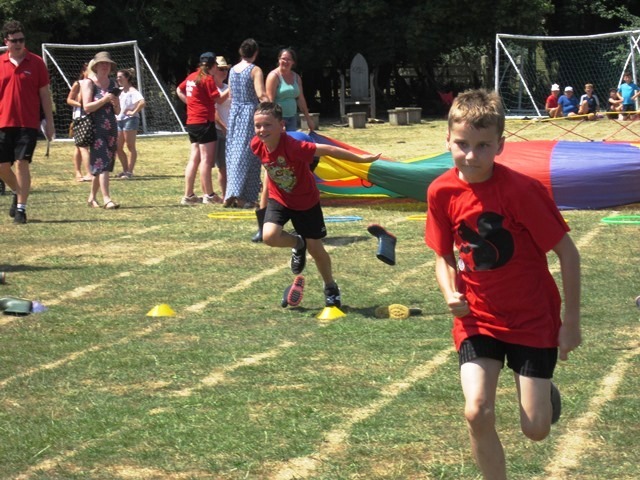 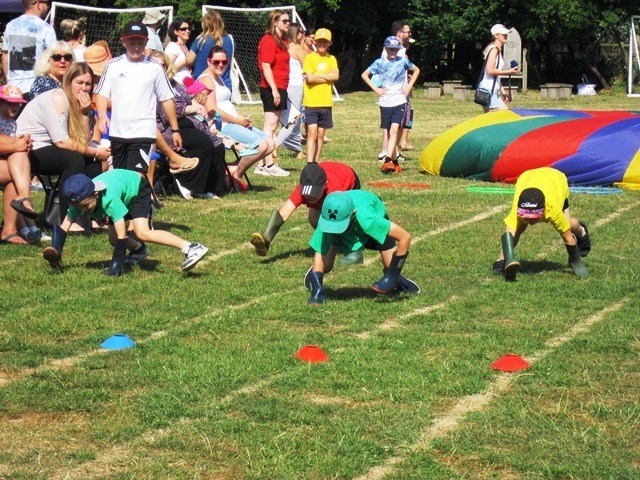 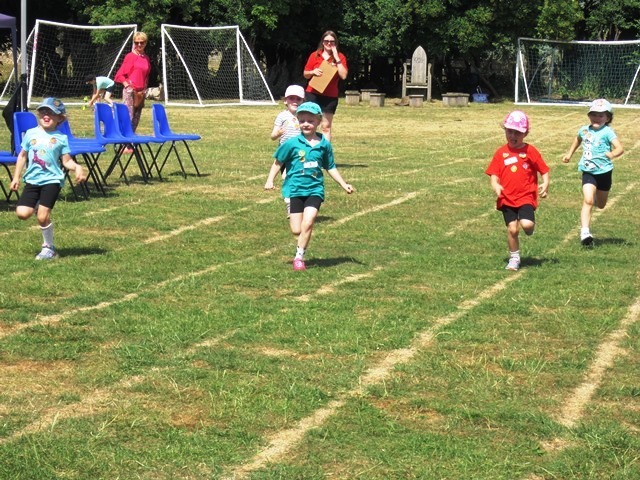 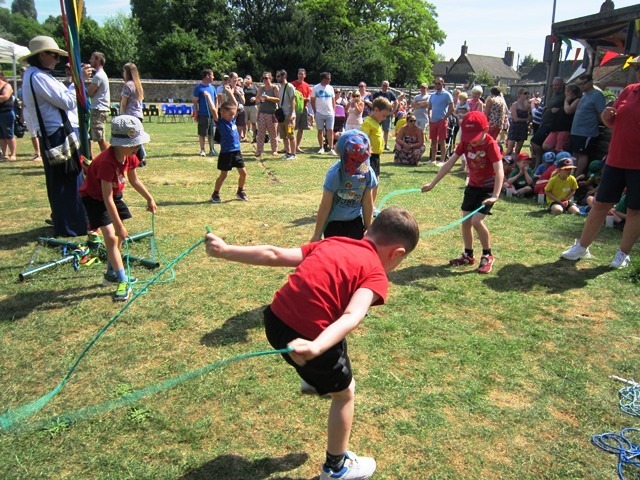 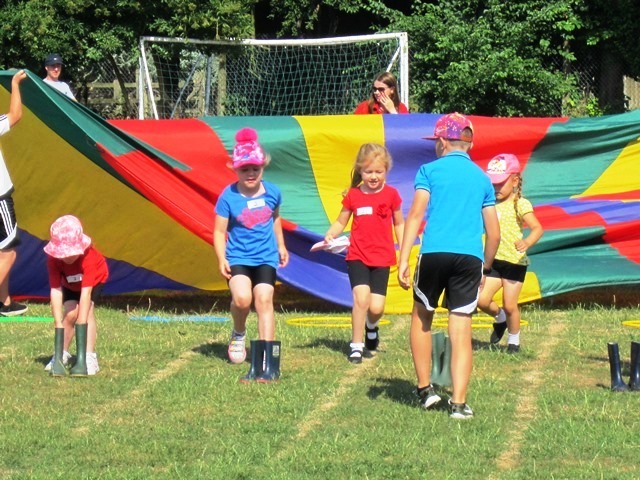 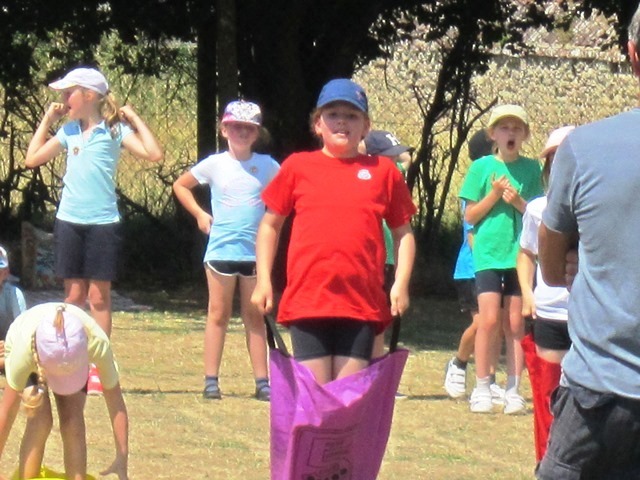 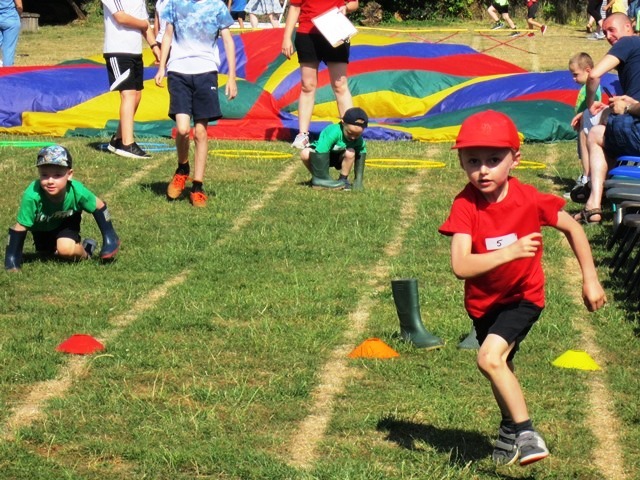 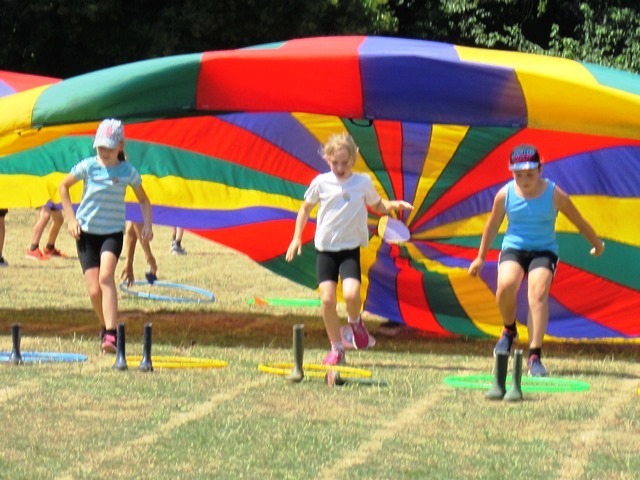 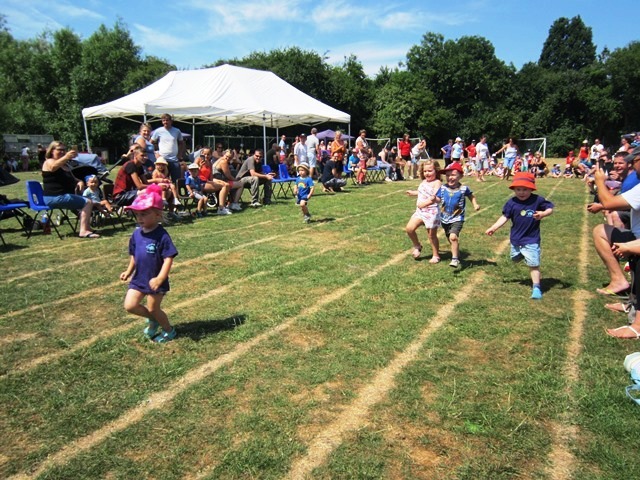 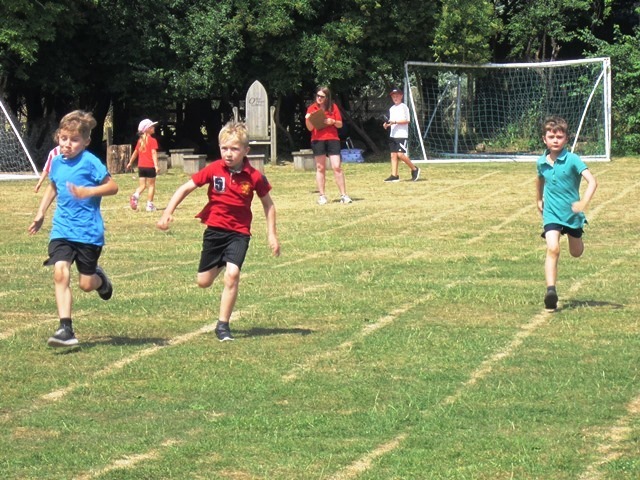 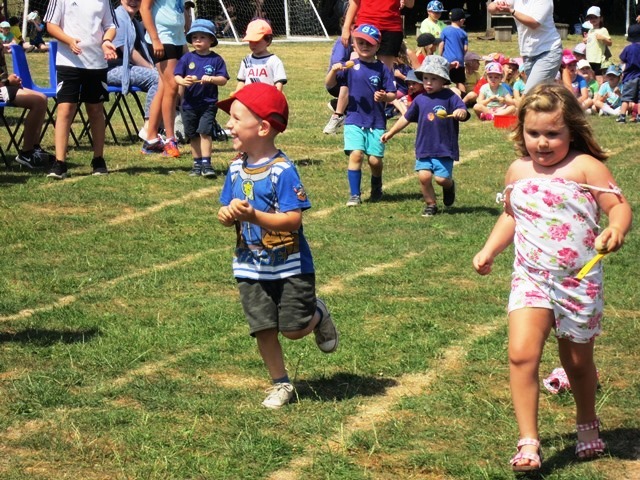 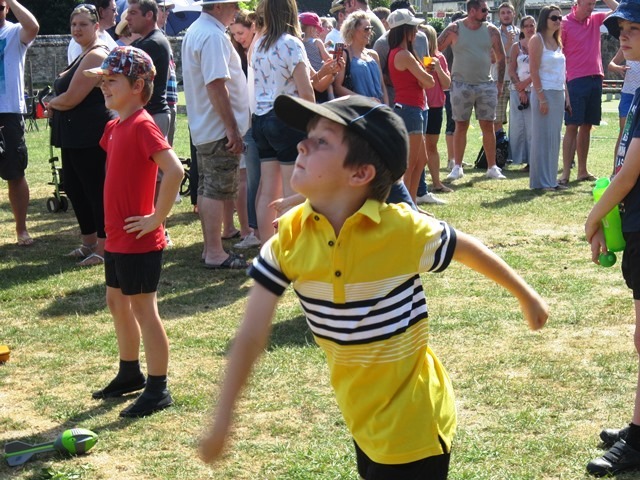 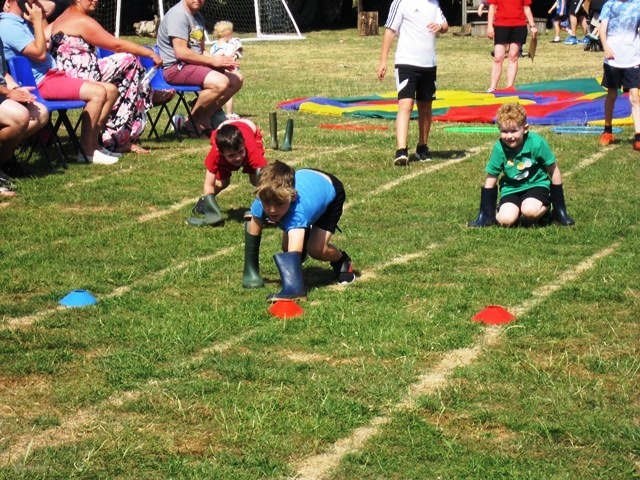 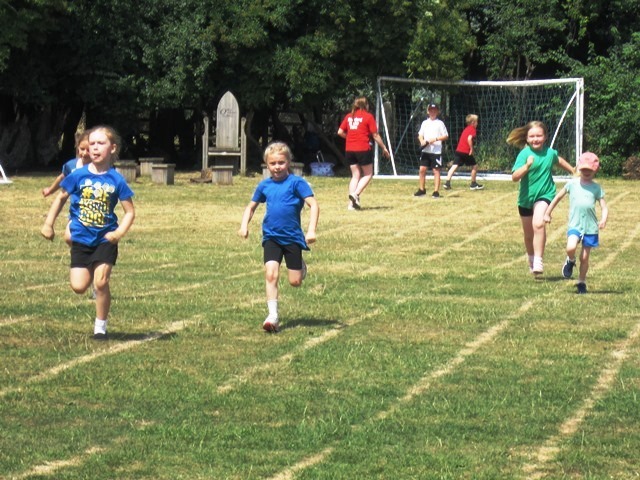 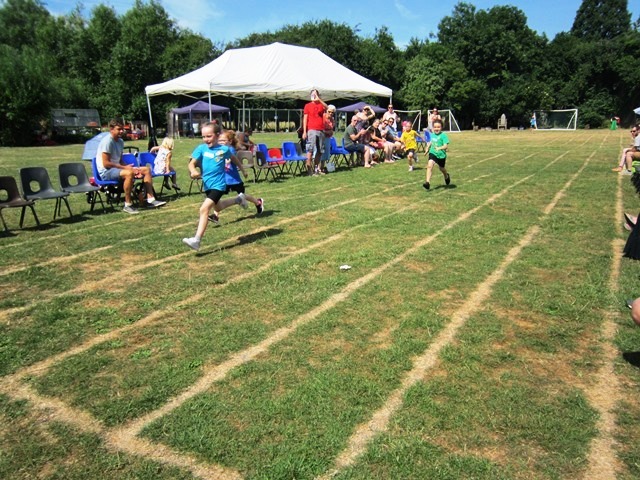 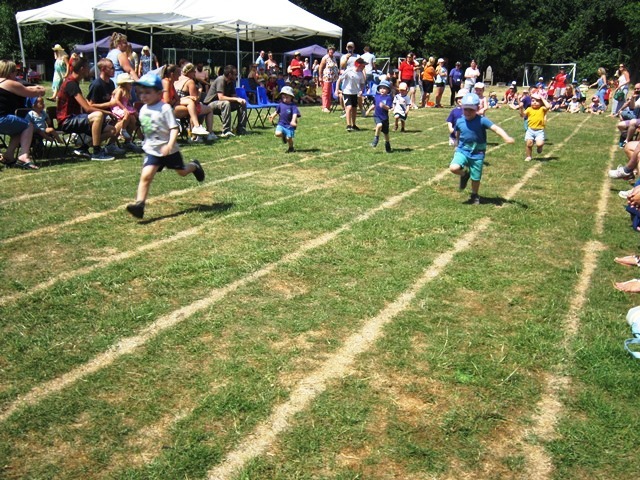 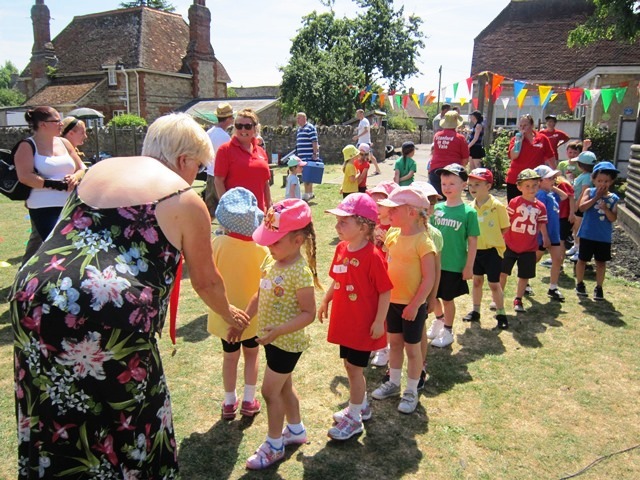 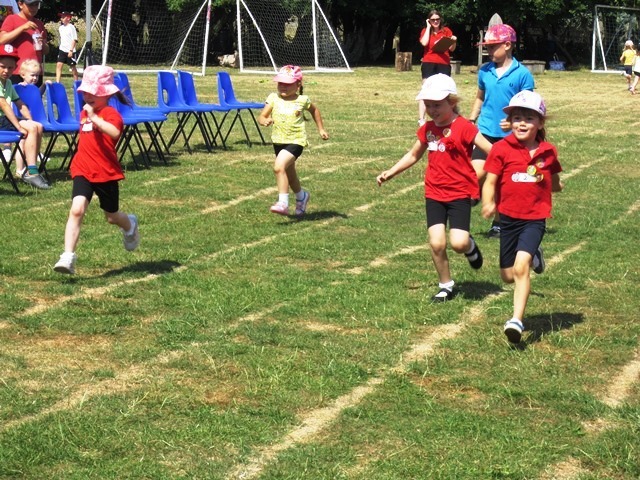 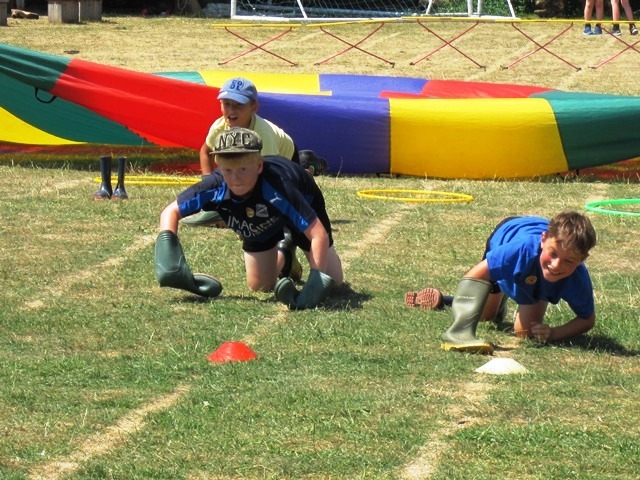 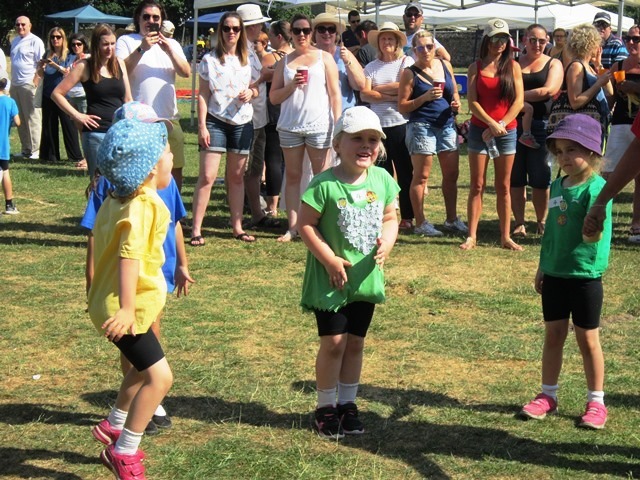 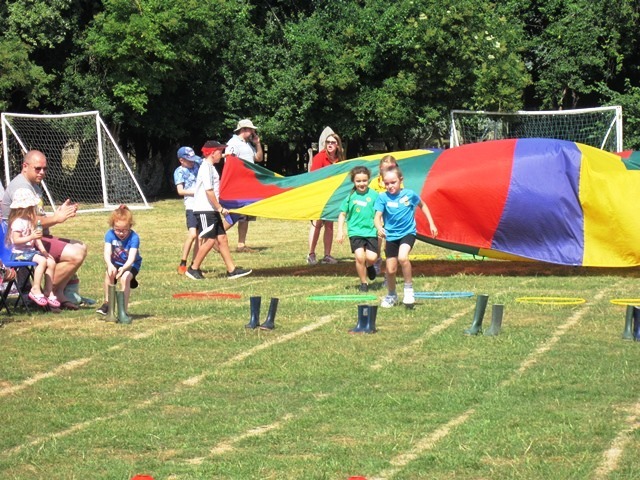 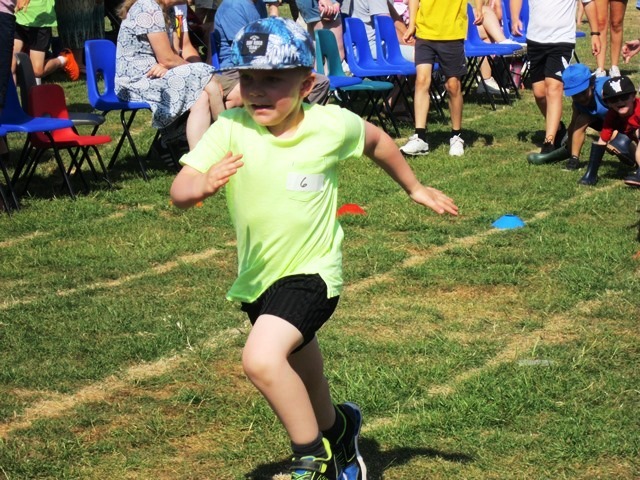 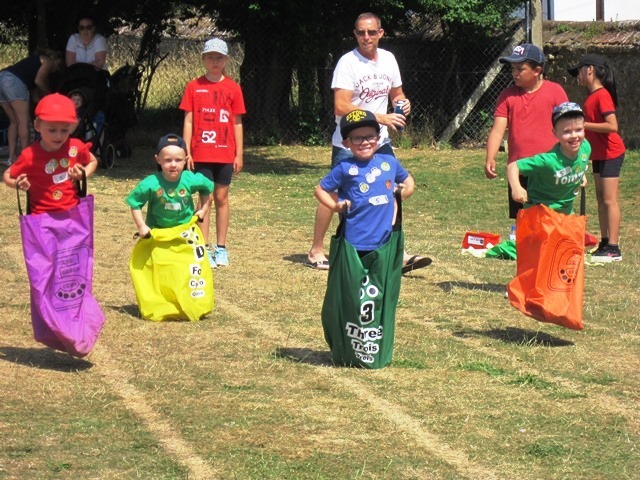 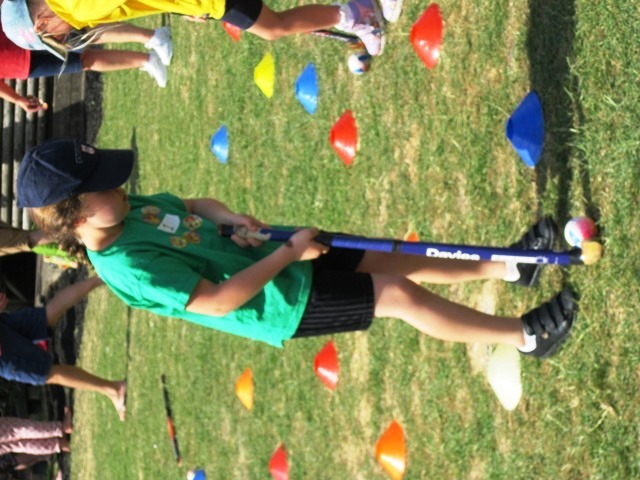 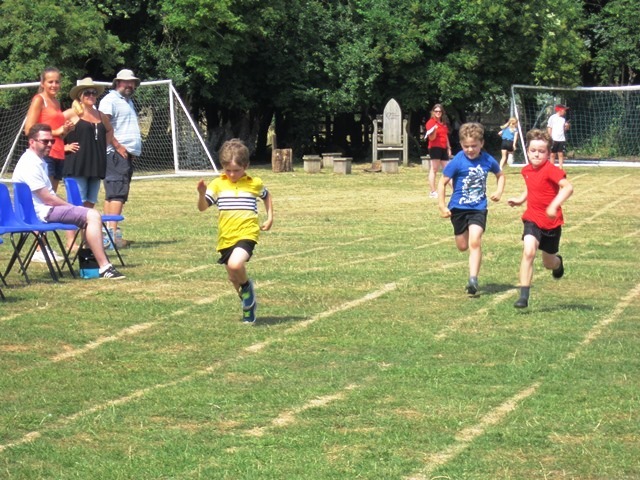 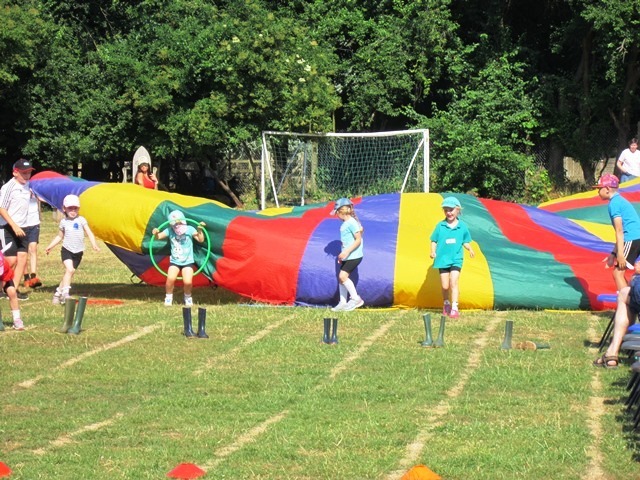 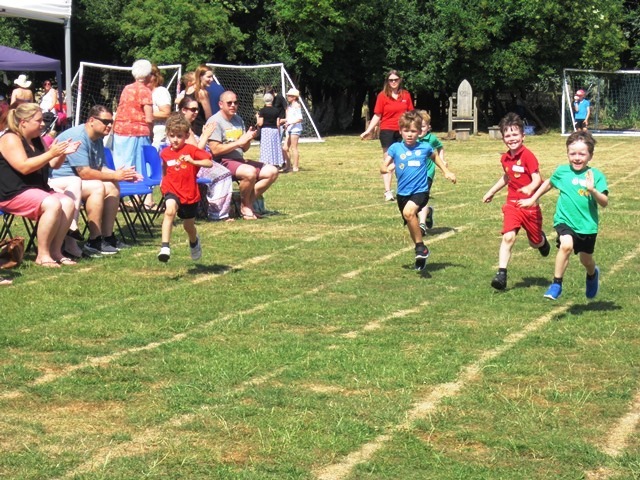 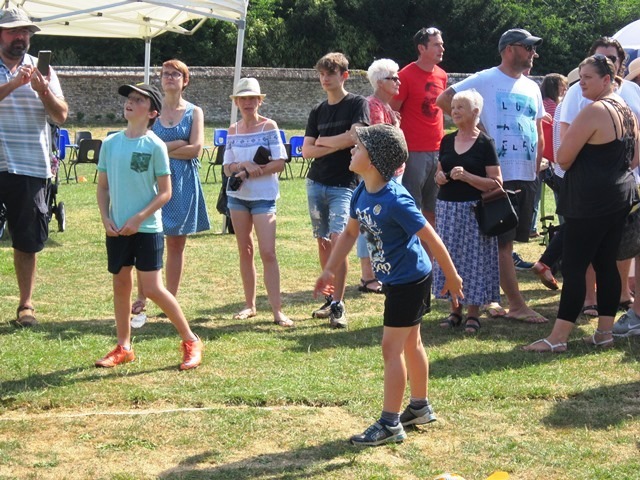 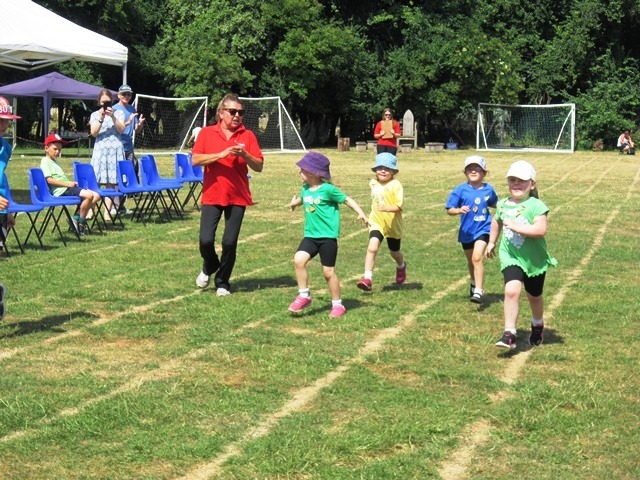 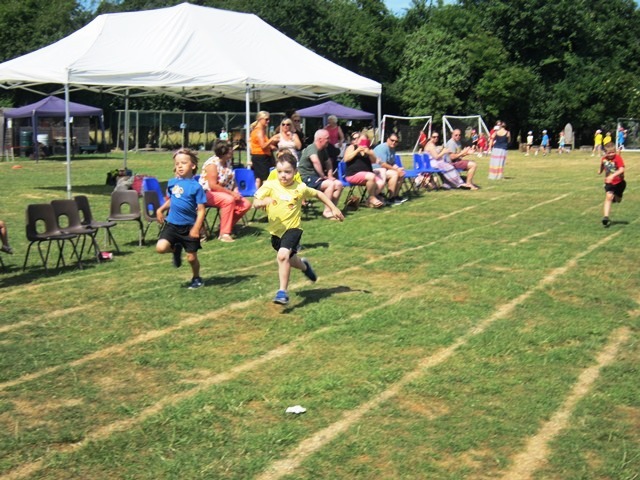 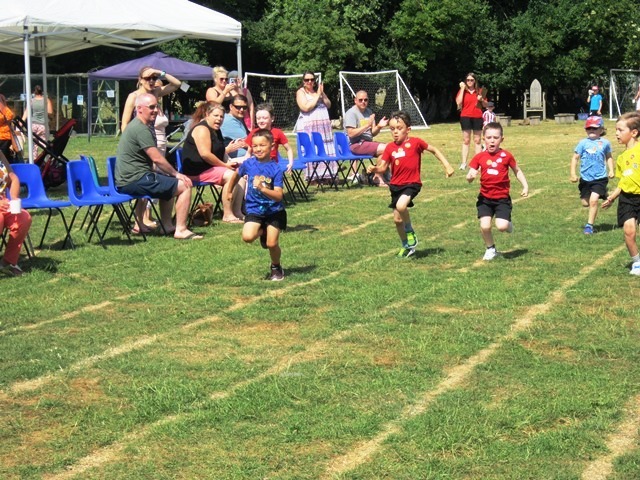 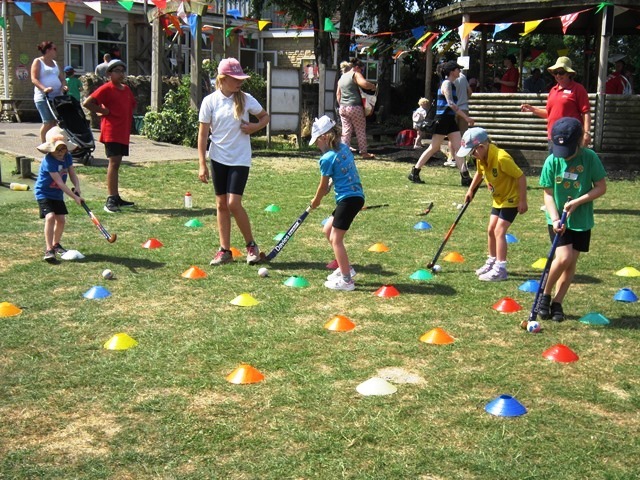 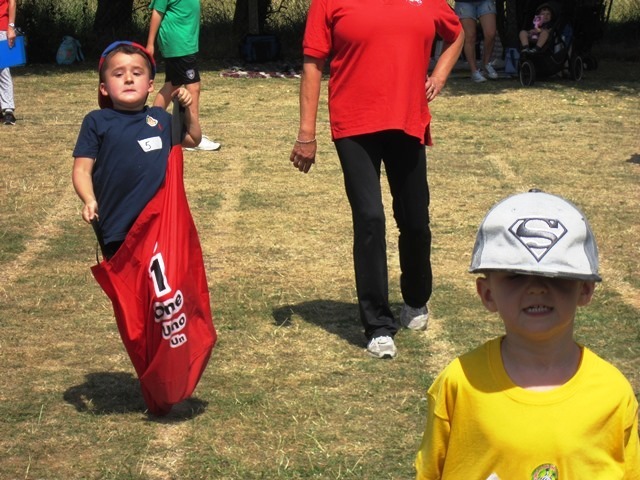 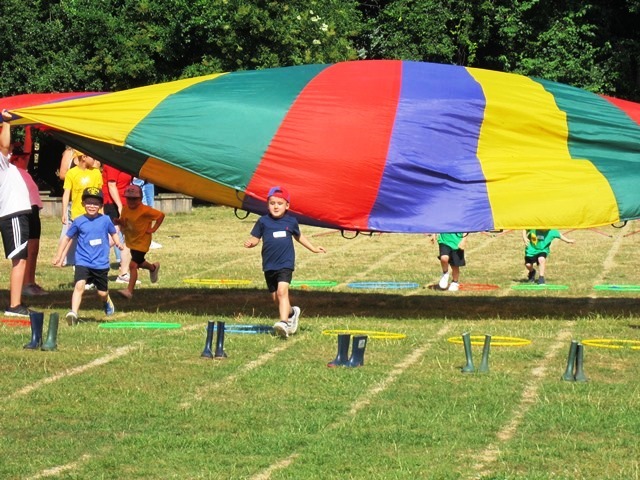 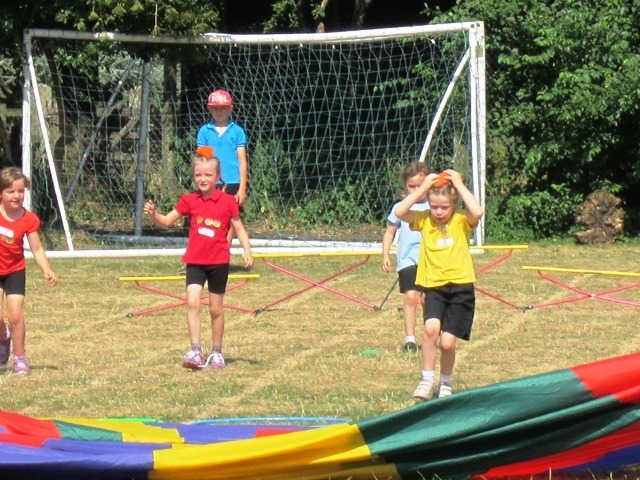 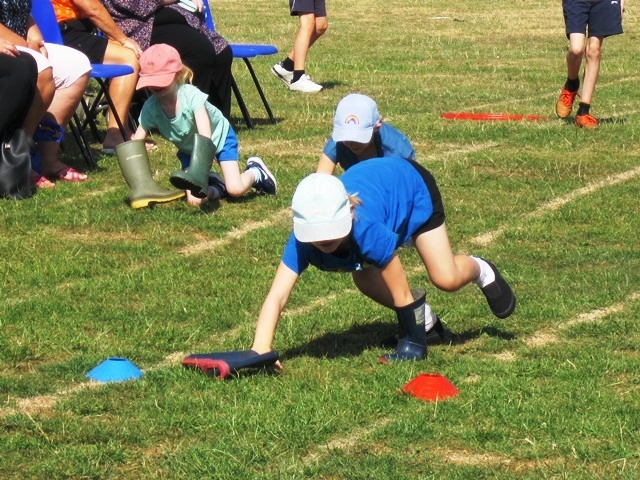 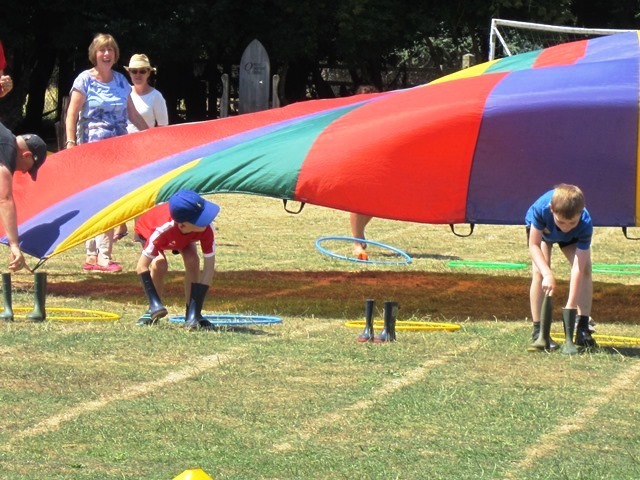 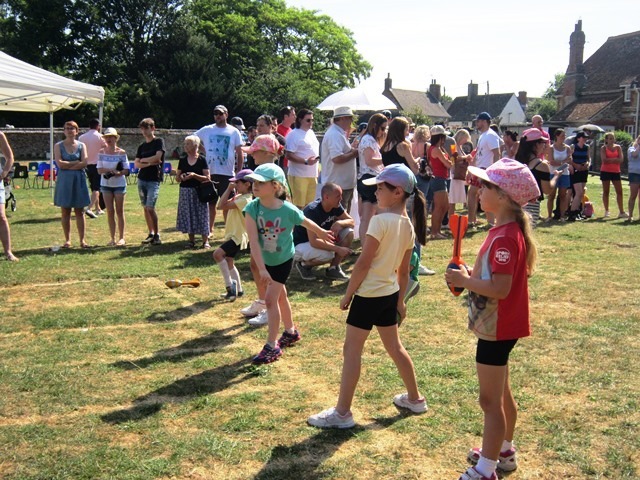 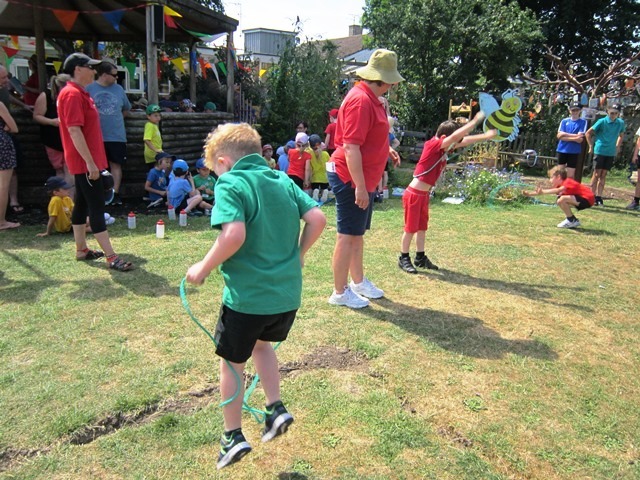 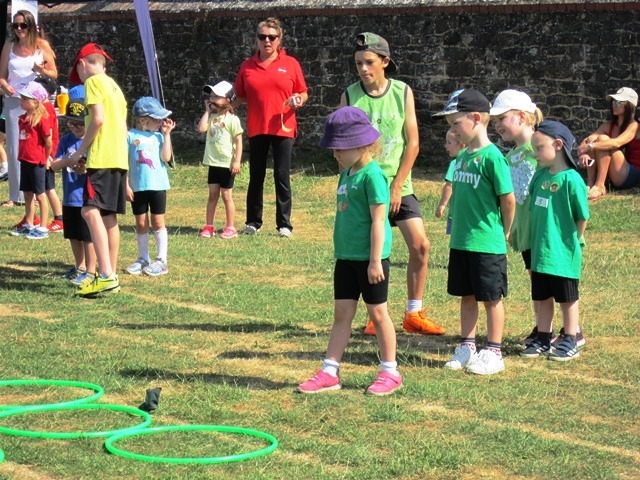 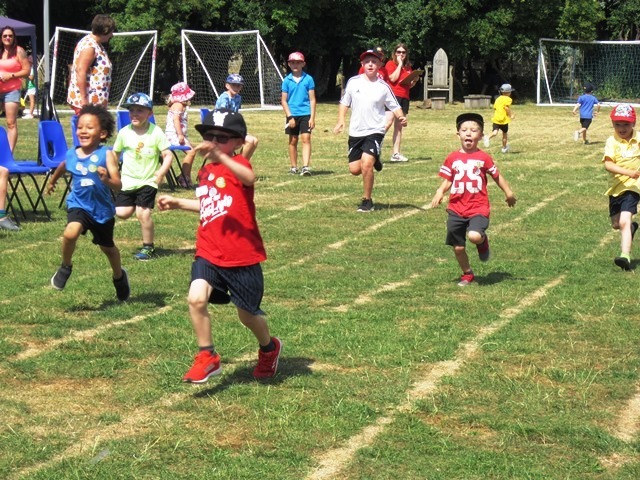 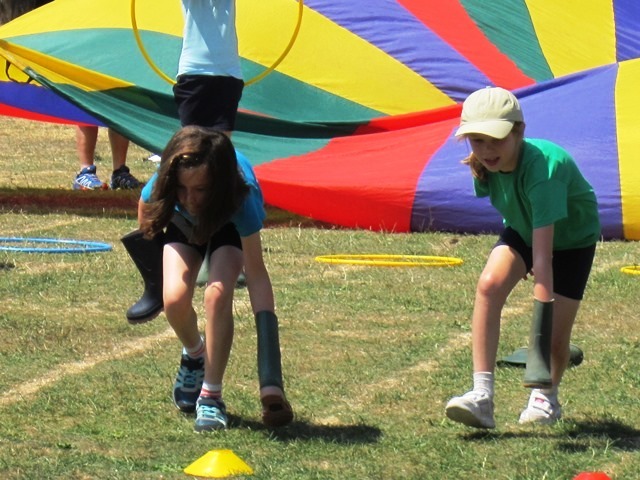 On Friday 6th July we held our Sports Day. 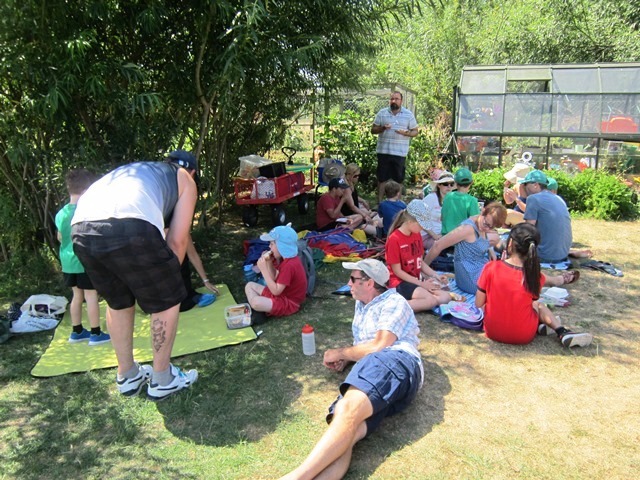 We had glorious weather, if not a little bit too hot! 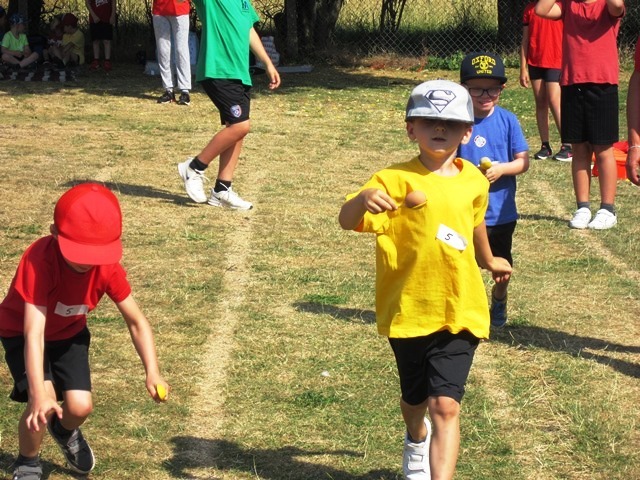 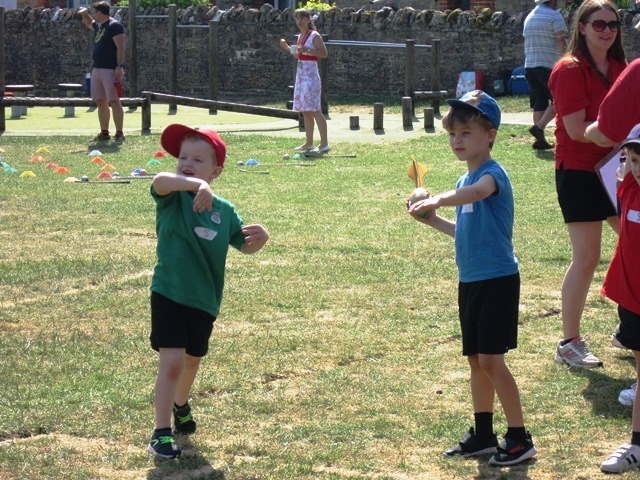 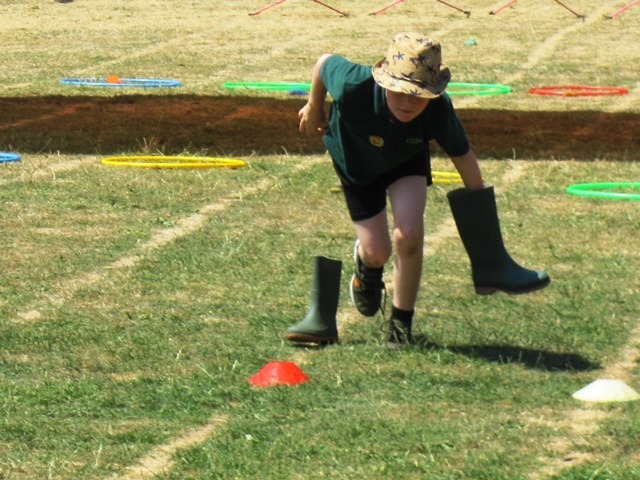 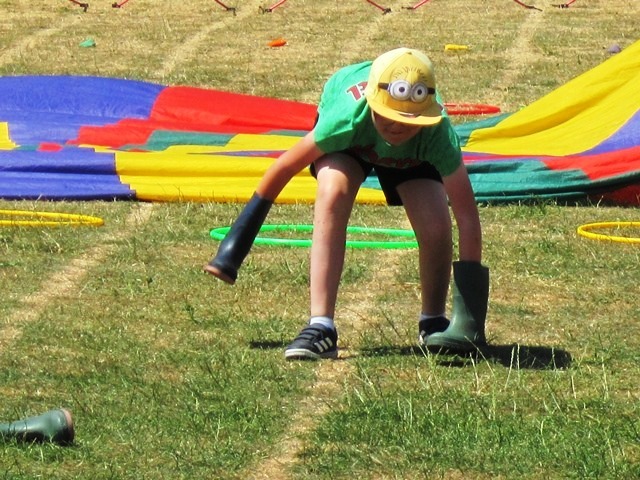 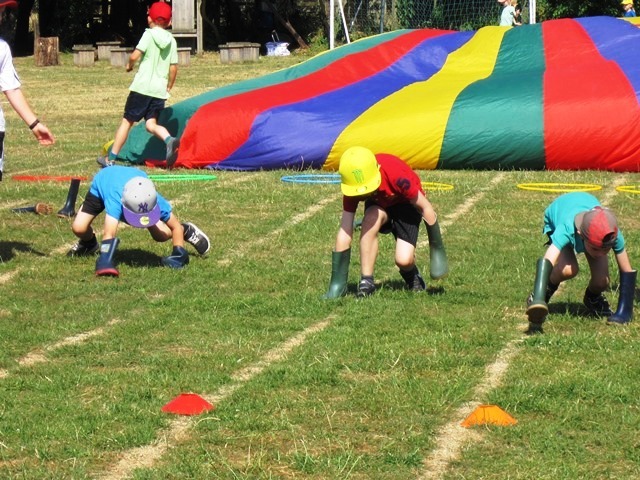 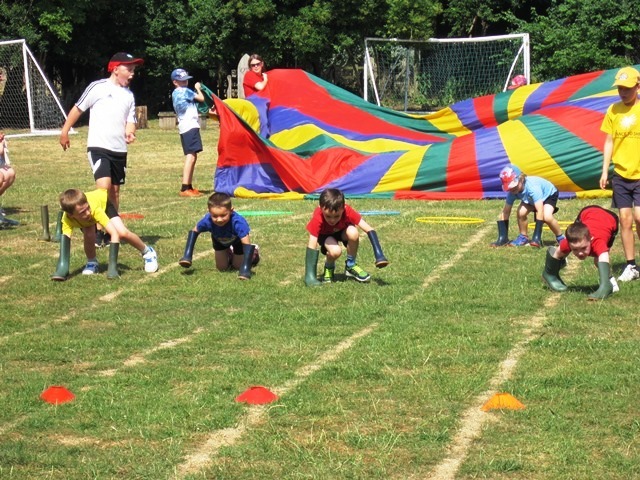 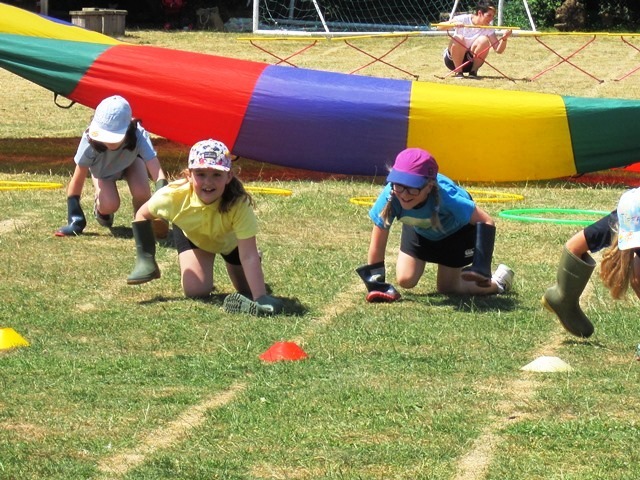 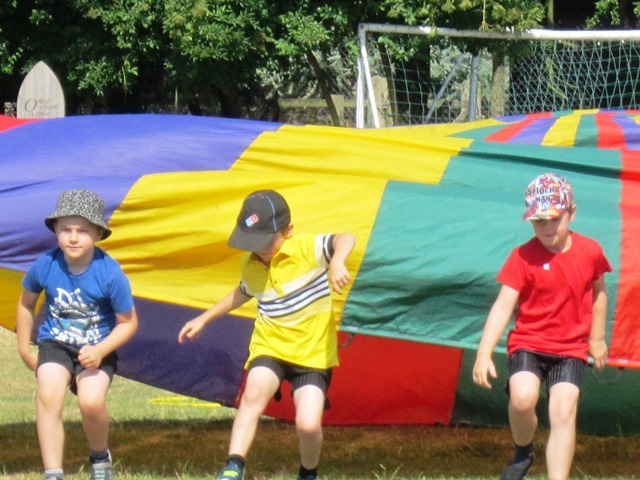 The children did a fabulous job and took part in numerous races - sack, egg and spoon, skipping, beanbag throwing, hockey ball dribbling, vortex howler, obstacle, running and relay. 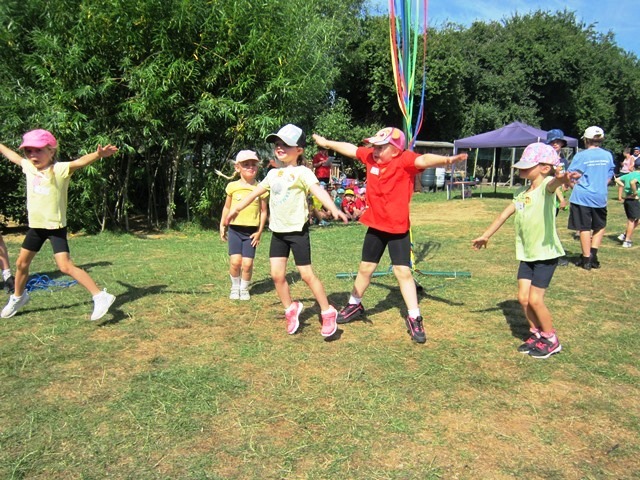 They all gave their best and had fun while doing so. 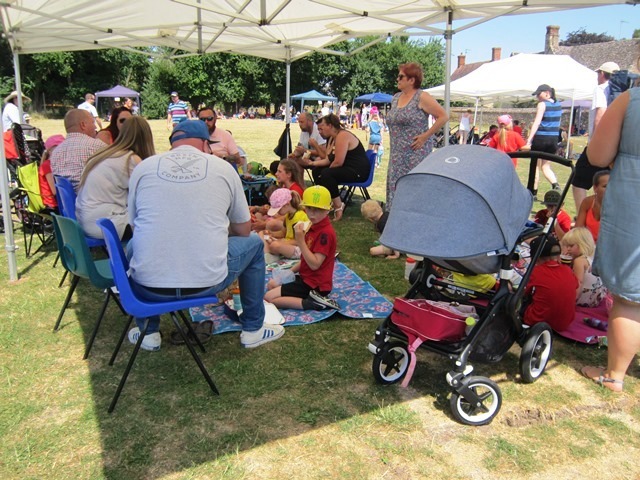 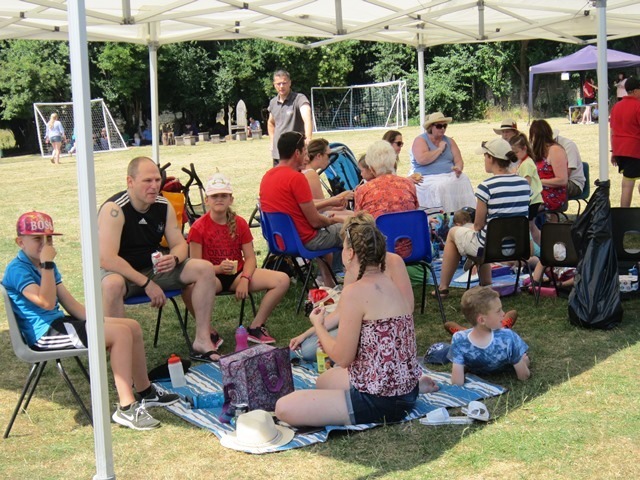 It was lovely to see so many parents and grandparents coming to watch and joining in with the picnic lunch. 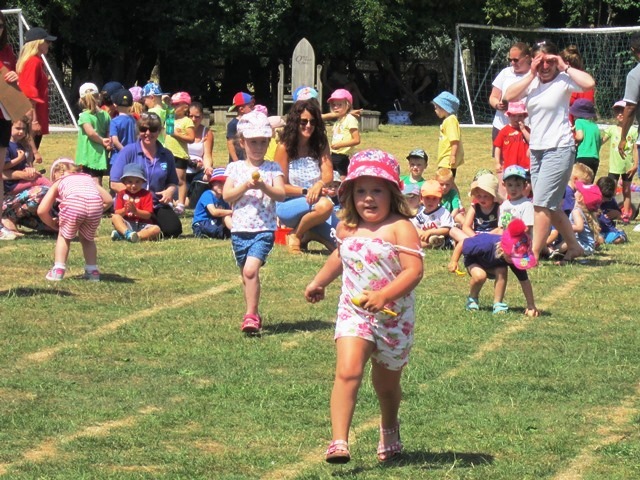 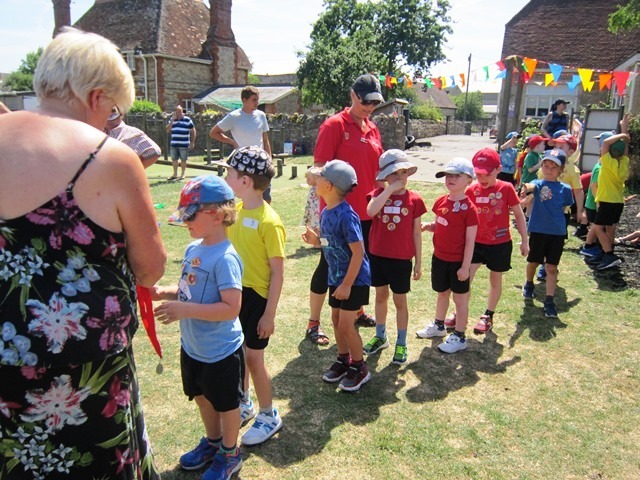 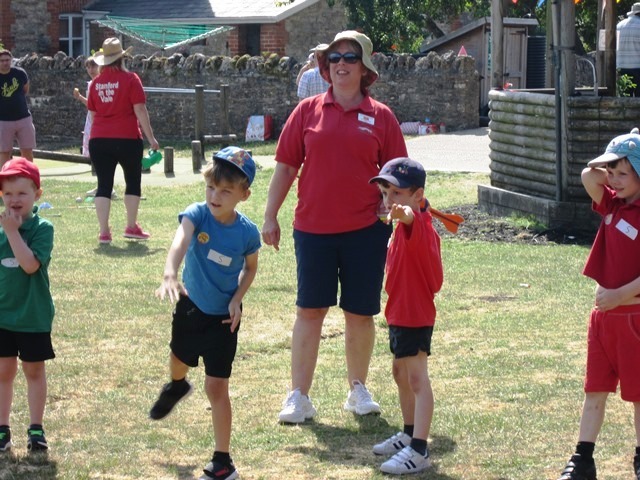 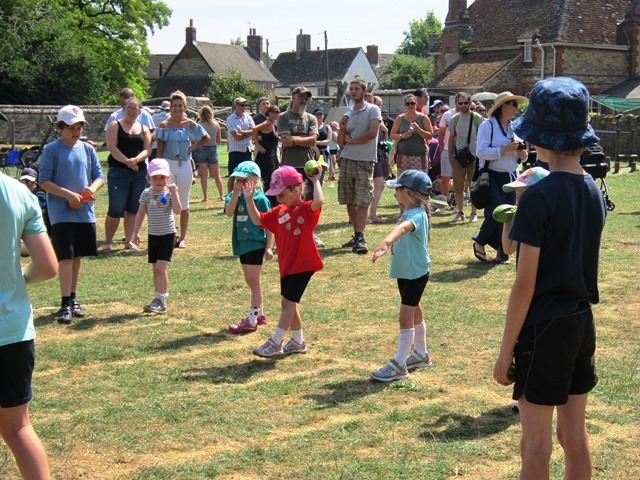 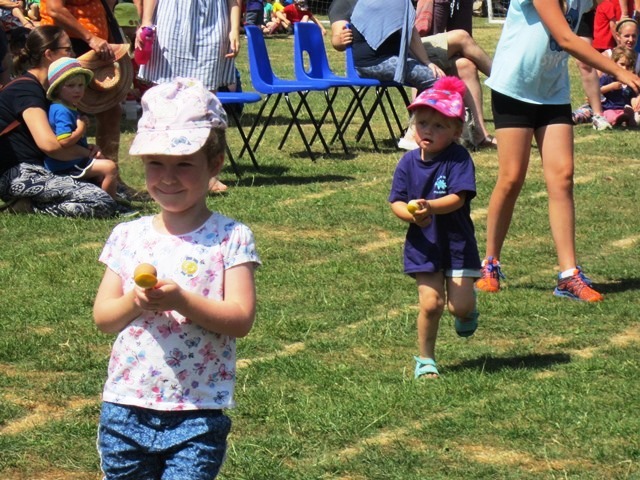 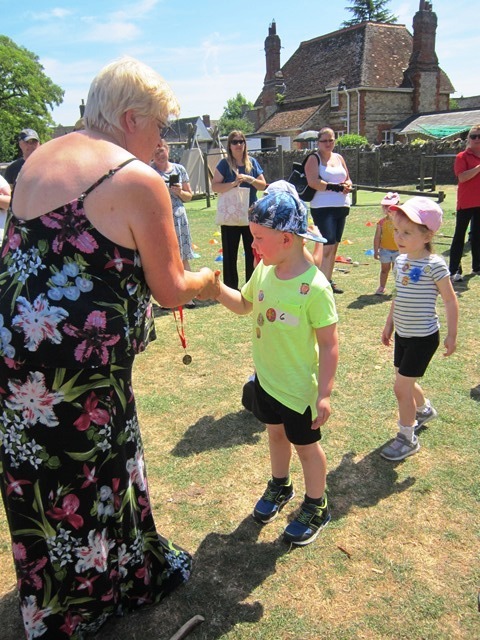 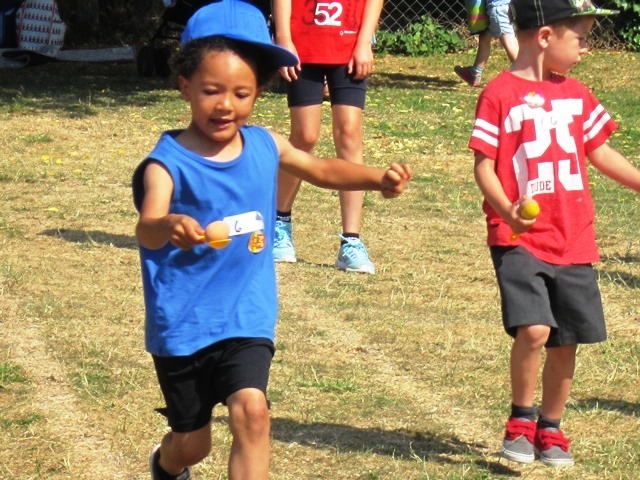 It was great to have Pre-School join us for their own running and egg and spoon race. 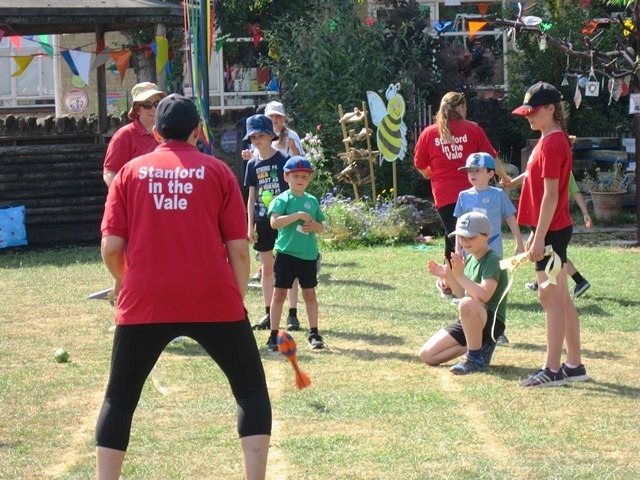 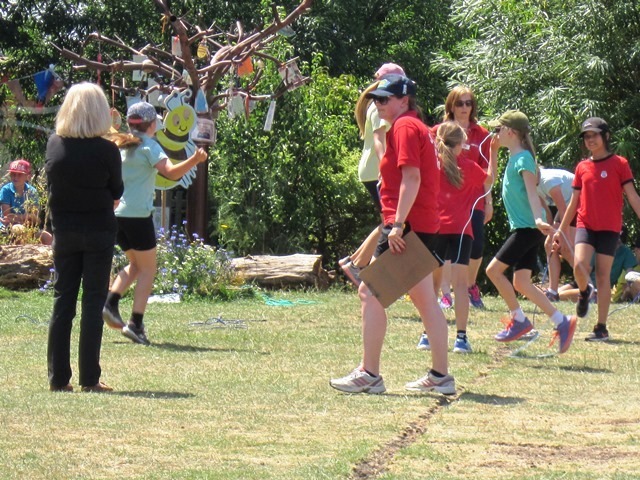 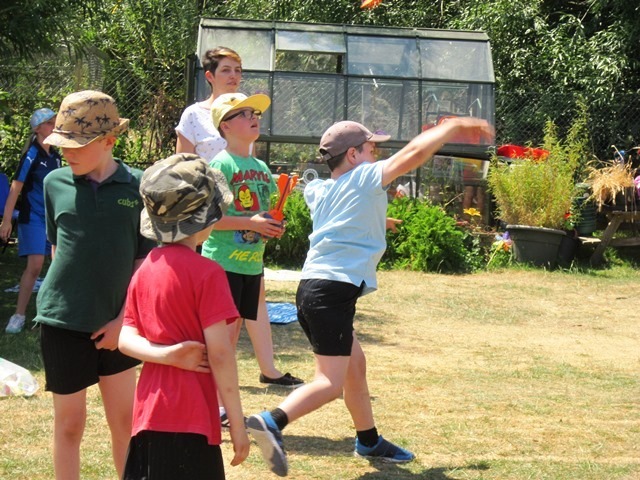 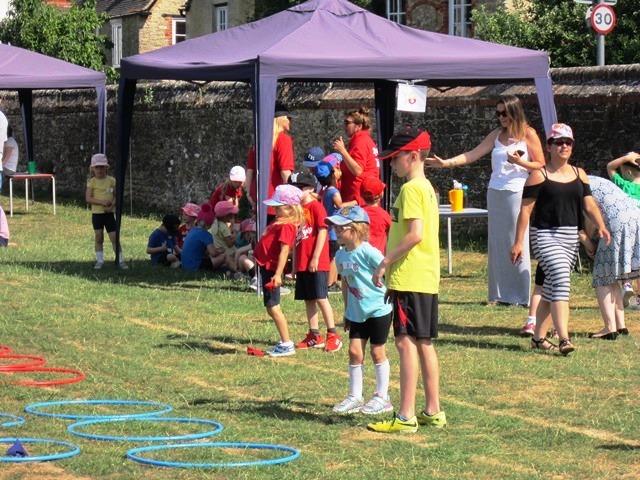 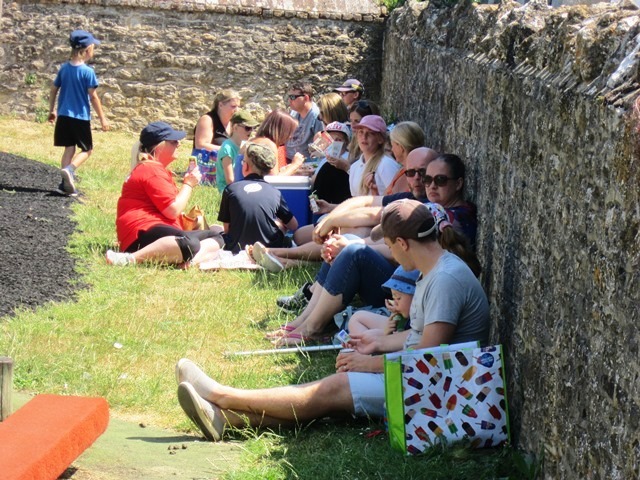 Many thanks to Mrs Warner-King and the Year 6 children for organising the day, to the staff and to FOSS for putting on refreshments and purchasing medals and ice pops for the children.